4 WHEEL DRIVE! DUAL REAR WHEELS! DUMP BED WITH MEYERS PLOW! 4 Wheel Drive! One Owner! JUST 30,000 MILES! Plow and Spreader Included! 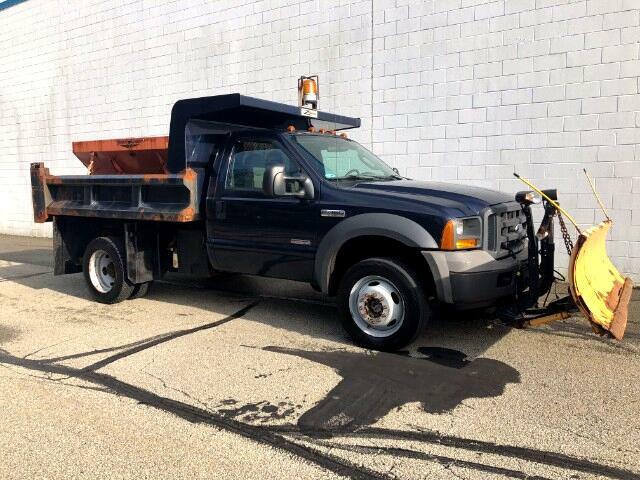 Don't miss out on this fantastic Ford F-450SD XL DRW 4 wheel drive dump truck! With it's 6.0L 8 cylinder diesel engine matched with an automatic transmission, this Ford F-450SD truck has the power and torque to get the job done. Ready to go to work for you with it's plow and salt spreader included! Give us a call today at Choice Auto Sales for your personal showing and test drive of this fantastic Ford F-450 Super Duty dump truck!